Ultrasound technology uses high-frequency sound waves. The waves bounce off tissue and return to the ultrasound machine at different frequencies, depending on the density of the tissue. Our GE Voluson 730 Pro ultrasound machine is a highly specialized computer that translates the returning sound waves into images for viewing on its computer monitor. Our machine is an FDA-approved ultrasound machine. 2D ultrasounds are the traditional black & white ultrasounds you have probably seen before. The pictures show the skeletal structure (outline) of the baby. These are the pictures you receive during a routine diagnostic ultrasound. It is still the best technology for gathering measurements of the baby and ensuring that the baby is developing as expected. 3D shows the tissue of the baby, which is more like real pictures. We can see the roundness of the baby's face,the shape of the nose and the contours of the lips. The color is actually not the color of the baby, it is computer-enhanced to make the pictures more appealing. We can show the baby in sepia, blue, or red. 4D shows the tissue of the baby—as the baby is moving. This will provide moving clips of your baby in action! The 4D video clips of your baby are similar to the 3D pictures—but moving! Published studies on ultrasounds can be reviewed below on Dr. Joseph Woo's world-renowned website, a highly respected source of information on maternal-fetal medicine. WHAT KIND OF EQUIPMENT DO YOU USE TO PERFORM THE 4D ULTRASOUNDS? We use the state-of-the-art GE Voluson 730 to complete all ultrasound examinations. The GE Voluson 730 has been seen in GE television commercials and many printed articles from around the world. This machine is the best 2D, 3D and 4D ultrasound machine available. Please note that many organizations claim to use "state-of-the-art" equipment, when in fact they use older or inferior technology. Only the GE Voluson 730 generates 3D images with amazing clarity and gives you the same clarity with 4D imagery of your baby in motion. Our sonogram equipment allows you to see your baby in live-motion video unlike any other on the market today. We offer elective 2D, 3D and 4D prenatal ultrasounds to provide a positive bonding experience for the mother, father and family members with the unborn baby. We feel that realistic surface images provide a connection between the parents and baby that can be beneficial to the whole family. We make no claims that 3D as used in this examination is performed to better assess the baby for abnomalities. A routine ultrasound examination should have already been performed to assess the gestational age of the fetus and to evaluate for fetal anomalies as well as the basic components of fetal anatomy recommended for screening. ABSOLUTELY NOT! Women seeking an elective prenatal ultrasound with First Expressions must already be receiving treatment with a healthcare provider for prenatal care and have already undergone a medical, diagnostic ultrasound ordered by their provider to confirm their due date, screen for fetal anomalies, and to look for any other pregnancy-related issues. The issues that we are evaluating in the elective prenatal ultrasound session include a limited diagnostic scan to confirm heartbeat, the number of babies in the pregnancy, the position of the baby, and the placental location. Please note that at no time is this exam to be used in place of a complete diagnostic ultrasound. WHAT TYPE OF TRAINING DO WE HAVE? At First Expressions we pride ourselves by adhering to the highest of standards. 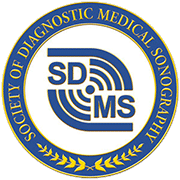 Our Ultrasonographers have years of experience and are licensed on OB/Gyn RDMS, are accredited by the American Diagnostic Medical Sonography. WHEN IS THE BEST TIME TO SCHEDULE MY 3D/4D APPOINTMENT? We can perform an ultrasound at any time during the pregnancy, but the best 3D/4D imaging results are generally acquired between 26 and 30 weeks. We recommend 29 to 32 weeks, if at all possible. Very late in the pregnancy, the baby gets very crowded and it is difficult to view the face although we have gotten terrific 3D ultrasound pictures and 4D ultrasounds in babies as late as 39 weeks! You must be at least 16 weeks to determine gender. We are happy to check gender, and this service is included in all of our packages. We prefer to check gender after the baby reaches 18 weeks. Gender determination cannot be guaranteed since we must rely on the cooperation of the baby and several other factors outside our control. But if you are at least 16 weeks along and we can't tell the baby's gender, we will bring you back for free! No, a full bladder does not improve the ultrasound pictures. But being well-hydrated increases the transparency of the amniotic fluid. This greatly affects the clarity of the pictures and videos. It is recommended that you drink plenty of water for the 2 or 3 days before your appointment. WILL MY INSURANCE PAY FOR THE APPOINTMENT? No, elective ultrasounds are not covered by insurance, and are not to be used in lieu of prenatal care. CAN I BRING ANYONE WITH ME TO WATCH THE ULTRASOUND? Absolutely. Our ultrasound rooms can accomodate several family members and friends. Bring everyone and anyone you want! Yes. Our ultrasound sessions are by appointment only. DO I NEED TO FILL OUT ANY PAPERWORK BEFOREHAND? Yes. Please download and fill out the consent form before your appointment.